Do you need to increase the functionality of WordPress? In this section we discuss and compare the most promising or known plugins. 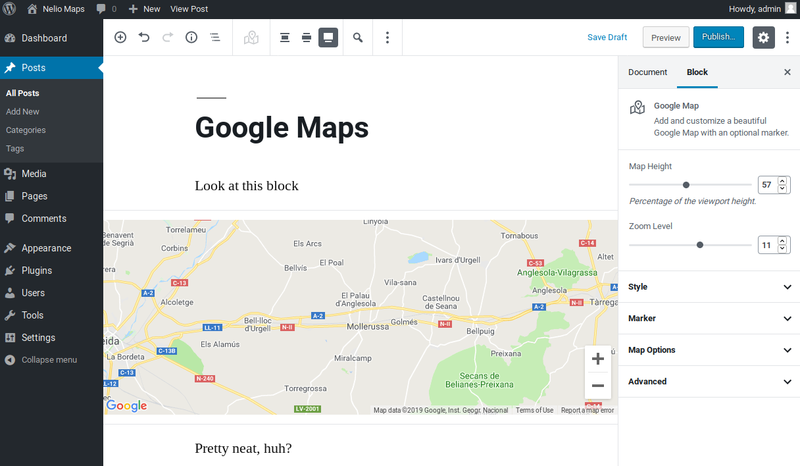 Welcome to the third and last post on how to create a maps plugin for Gutenberg. 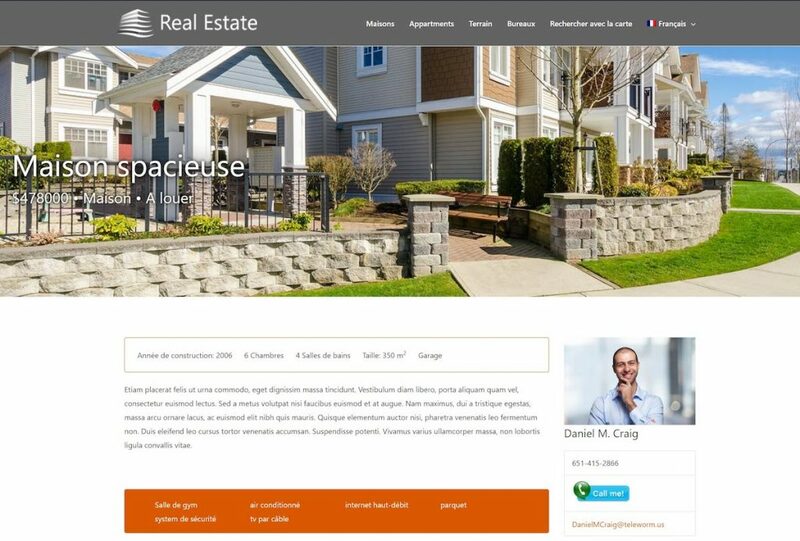 Our last post was quite dense and we saw a lot of different things: the attributes our block has, how to insert a map using a React component, how to use WordPress components or even create our own components to define the user interface, etc. Today we’ll be discussing something simpler. 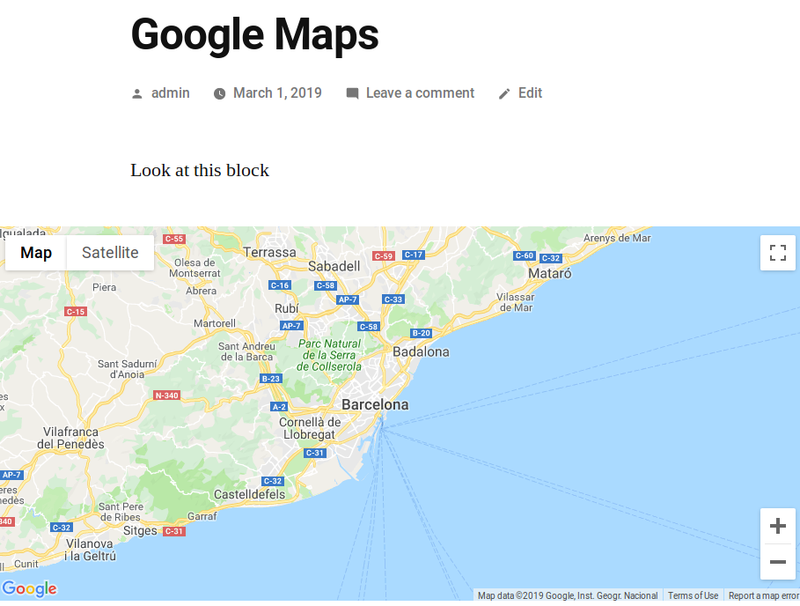 In this post we’ll see how to render the Google Maps map in the front-end. To do this, we will take a closer look at save.js and we will make a few changes to the plugin so that everything works as expected. I will also use this last post to comment on any point that may have been unclear until now. 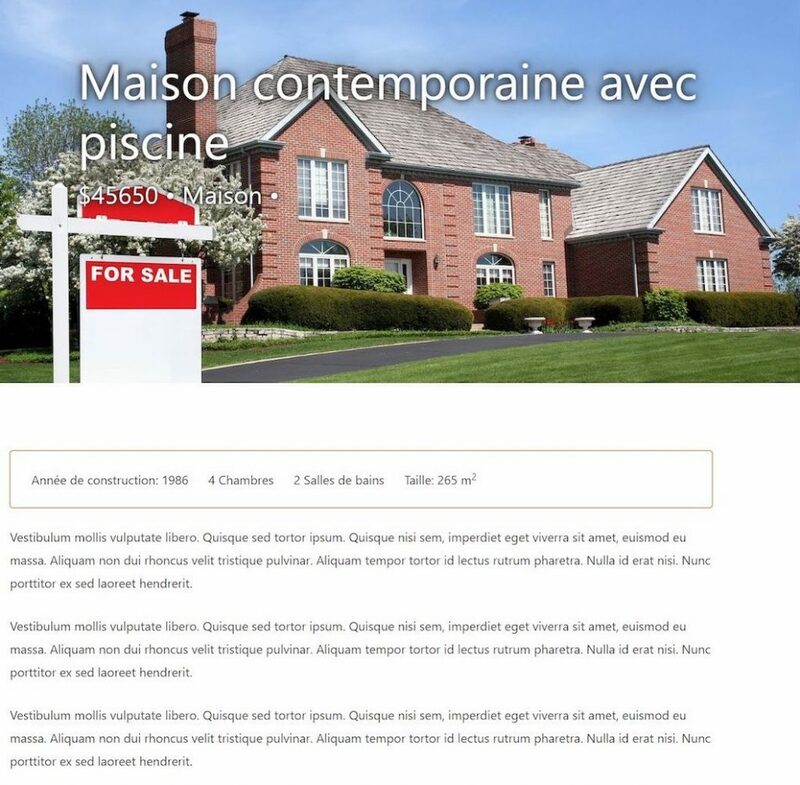 To display the map in the front-end we first have to define the HTML we want to be rendered in the front-end. In a Gutenberg block, this is achieved by defining the save method of the registerBlockType function. As I already mentioned in the previous post, this method is defined in the file save.js in packages/blocks/nelio-maps/. From line 7 to 25 we extract all the attributes that are relevant to our block. 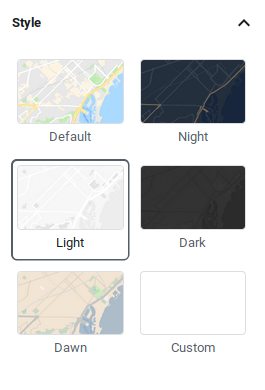 That is, all the attributes that we defined in attributes.js and that tweak the appearance of our map. In line 41 we open the div that will serve as a container for the block. In line 47 we find a div that will wrap the map itself. Look at something very interesting: this div includes all the attributes object in its definition. This means that all the properties in attributes (for example, 'data-lat': lat of line 34) will be rendered as HTML attributes (for instance, assuming that the variable lat is 2.48171, lat will appear in the final HTML as data-lat="2.48171"). On line 49, a small div is added containing the coordinates of the marker. On line 59, the contents of the RichText that we had defined in edit.js. Screen capture where a map should be seen. Oh wait… What’s going on? An empty block that only has some RichText content. What happened? 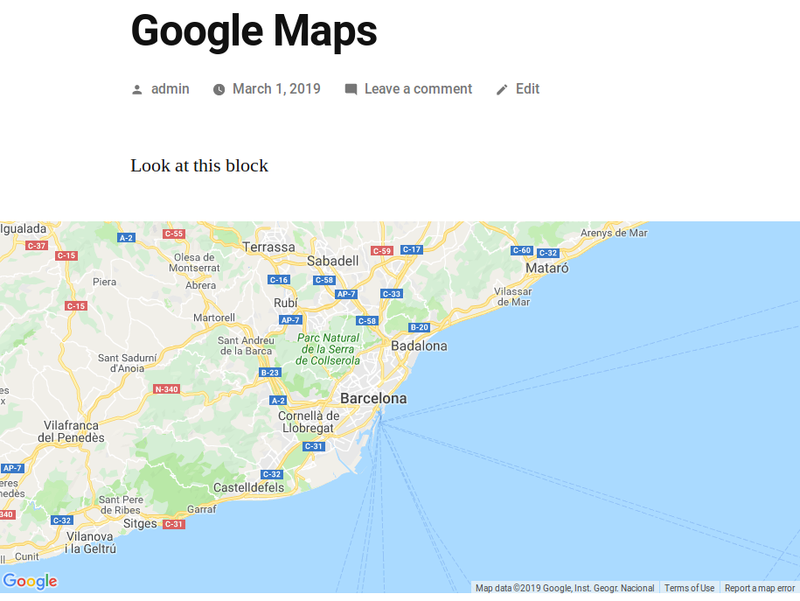 To display a Google Map in the front-end it is necessary that we load the Google Maps library and a script that uses it to build the map itself. This is extremely simple and if you have ever developed for WordPress, you should know how to do it. In line 9 we search all the nodes that contain a map (filtering by one of the classes that we have included in the save method) and, for each of them, we call the initGoogleMap method. This method relies on two functions to do its job. On the one hand, it extracts the coordinates of a possible marker with the function extractMarkerPositionIfAny of line 55 and, on the other, it extracts all the properties of the map (center coordinates, zoom level, list of visible buttons, etc) with the function extractMapOptions from line 26. Note that both functions are simply dedicated to reading the values of the attributes data-something we had put into the save method. Finally, we created a map (line 18) and added a marker (line 21) using the Map and Marker classes, respectively, provided by the Google Maps library. On the one hand, we must modify the webpack configuration file webpack.config.js so that it transpiles the public.js script that we just created. It might sound difficult, but it’s actually pretty easy: just look at the changes I made to that file in this commit. On the other hand, we have to modify the plugin to enqueue this new script (and the Google Maps library!) in the front-end. Again, a very simple change that you can see in this commit. 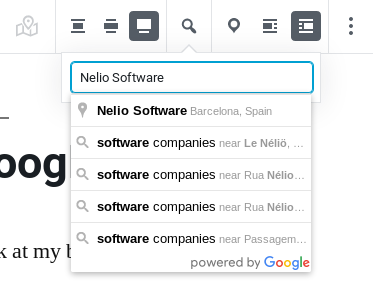 Screenshot of a Google map with the Nelio Maps plugin in the front-end. I know what you’re thinking: why, instead of doing all this by hand, didn’t we use the React component we had used in edit.js? Wouldn’t this save some time? Indeed, using the React component we saw in the previous post would have saved us some trouble… but there’s a catch: it relies on React, which means we would have had to load React in the front-end to use too. And that seems like too much, don’t you think? Finally, let me briefly discuss one aspect that’s very important, or else your plugin won’t work: the Google Maps API Key. 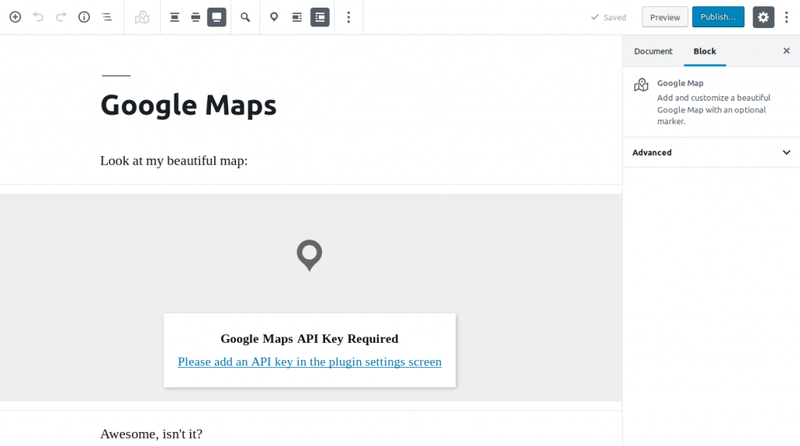 In order to use Google Maps you need to have an API key. How to get it is something Antonio explained to us a few days ago. Now, how do we use it? One option would be to hardcode our API key in the plugin. If you’re the only one who’ll be using the plugin, that would do the trick. But if you plan on distributing your plugin to real users, it’s a very bad idea, because not all Google services are free—some are paid, and the costs can be quite expensive if everybody uses your key. What to do in these cases? The idea is very simple: just add a configuration option in the plugin for people to enter their own API key. Warning message that is displayed to the user when there is no API key available. urging you to add the API key. 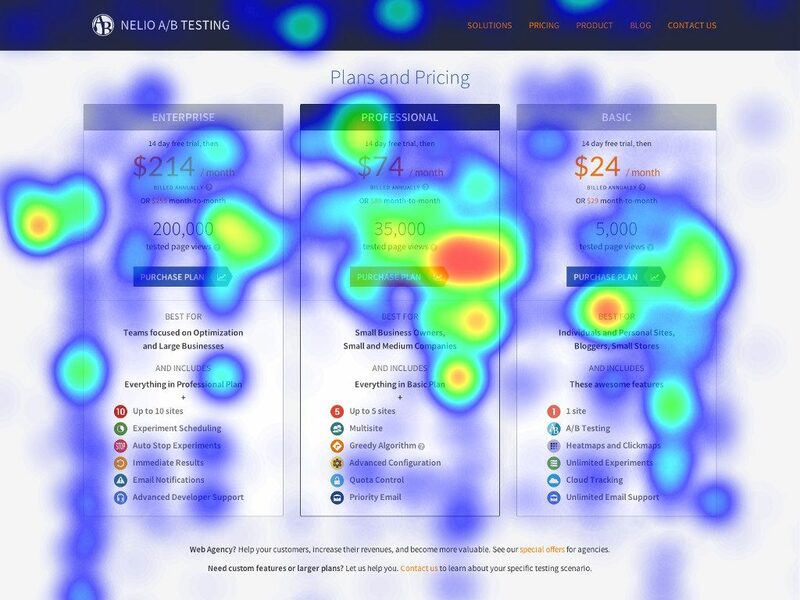 Usually, you’d create a special page to manage your plugin’s settings. But for a plugin as easy and simple as the one we’re creating, I thought it be easier if we opted for a different solution. 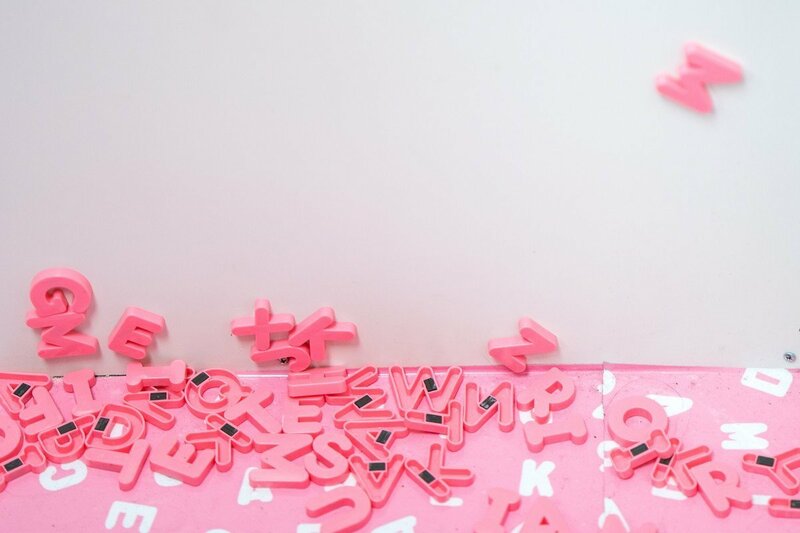 How to add the API key from the WordPress settings. It is a kind of “nice interface” to edit (almost) all the options that have been registered in WordPress and are in the table wp_options. So, all our plugin has to do is make sure that this option always exists in the database (even when there’s no API key set yet) and we will have a “nice interface” for the user to paste their API key without our doing anything! To achieve this, use the init hook (see line 73 of this commit) with a function (line 134) that always sets a value to your key option. If the option does not exist yet, this function will set its value to the default value (an empty string) and save the option. If it already existed, the new value will be the same we already had, and so the update function won’t do anything. A clever and efective hack! 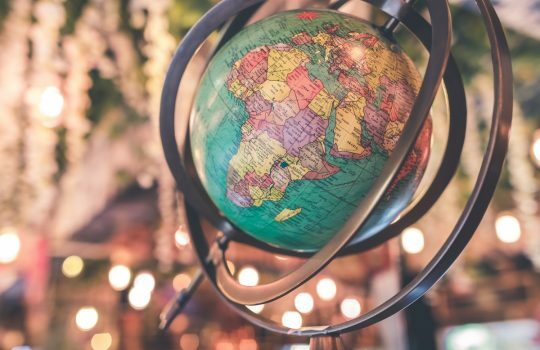 In this post we have overcome the last barrier in our project: how to save the map and how to display it in the front-end. Basically, all we needed was a div with all the relevant information about the map (its center, options for displaying the buttons, the marker, etc.) and a small script to rebuild it in the front-end. I hope that this tutorial has pleased you and serves as an example to undertake your own projects. As you can see, if you start a new project with a good foundation like the one we have created in Nelio with the boilerplate for Gutenberg development, materializing your ideas into real projects will be way easier. If you have any questions, let us know in the comments section below. Good luck! Featured image by Artem Bali on Unsplash. The WordPress REST API was introduced in the WordPress core at the end of 2016 with the release of WordPress 4.6. 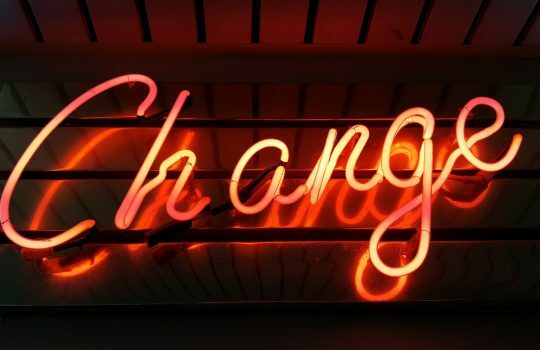 Like all the big changes that appear in the platform, the REST API generated controversy in some and indifference in others. It’s even possible that you have no idea what it is, but if you have an updated version of WordPress (and you should) you are exposing many aspects of your website publicly through the REST API. Just append the fragment /wp-json/ to your domain name and visit this URL to see it with your own eyes. 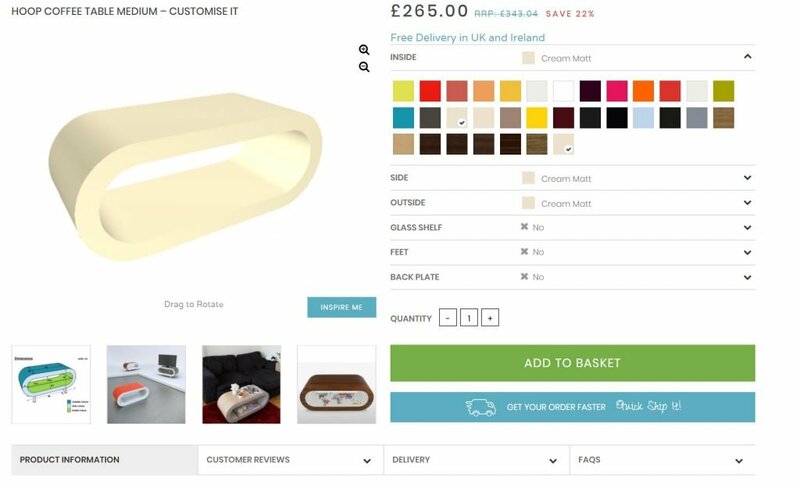 As a result of the first URL you will have a JSON with the data of the users of your web. Notice that user identifiers are included there, and this is something that people traditionally hide due to security issues and to prevent possible attacks. The second URL shows us a list with the last posts. However, if you have protected content that only certain premium users of your website (in a membership site, for example) should have access to, it’s possible that you’ve been exposing this premium content through the REST API. Let’s see how we can avoid compromised situations by being more aware of what we publicly expose through the WordPress REST API. A solution that we can implement to hide the WordPress REST API is to prevent those users who are not registered on our website from accessing it. To hide the REST API to unregistered users, we must add the following code in our WordPress. Remember that you can put it in the functions.php file of your theme or just develop a plugin for it (a much better option). Once you have put this code in your WordPress, accessing a route of the REST API on your website while not logged in will result in an error message. Your content is now protected. Basically, we simply added a new check: current_user_can. If you want to check with a different role than the administrator, you just need to make the corresponding change in this function. In case you want to make more complex changes, you have the possibility to use plugins to disable the REST API in WordPress. There are several plugins that allow you to disable the REST API in WordPress, but the one I recommend is Disable REST API by Dave McHale. which routes are active and which are not. By default, this plugin already prevents unregistered users from accessing the REST API of your WordPress. 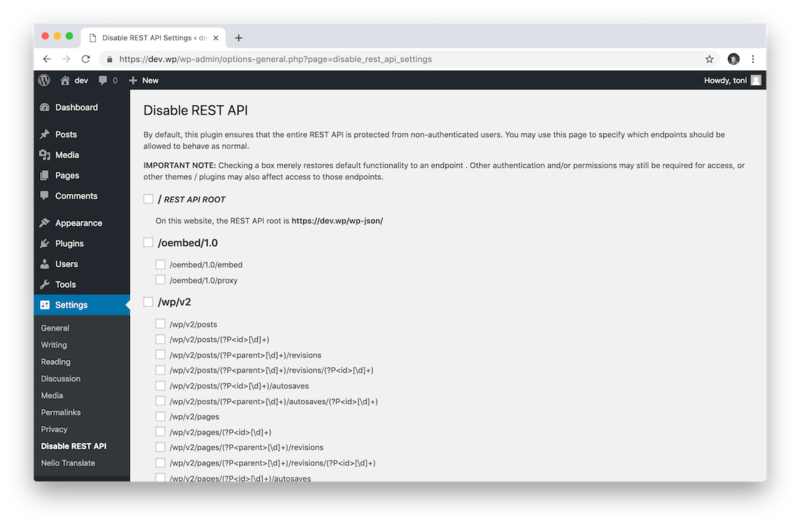 And in addition to it, the Disable REST API plugin allows you to select which API routes are active and which ones you want to disable on your website. This way, controlling which data and information is public on your website through the WordPress REST API is tremendously simple. Featured image by Ben Hershey on Unsplash. The development in WordPress is being modernized by leaps and bounds. A few days ago I explained the current technologies that are already present in version 5 of our content management system. Now it’s time to teach you how to develop plugins for WordPress taking into account the possibilities of the new block editor. You have all the codebase of our boilerplate plugin for WordPress in GitHub, so you have no excuse to not modernize and expand your horizons as a developer. The main reason for creating a project that serves as the basis for the creation of new WordPress plugins arises from our own need as developers to be able to unify and standardize all our projects. The development in WordPress is no longer just PHP. Let’s leave the old stuff behind because it’s time to modernize your skills. The npm install command downloads the dependencies of Node.js and PHP in the node_modules and vendor folders, respectively. When the process finishes you will have a dist folder with the compiled files. 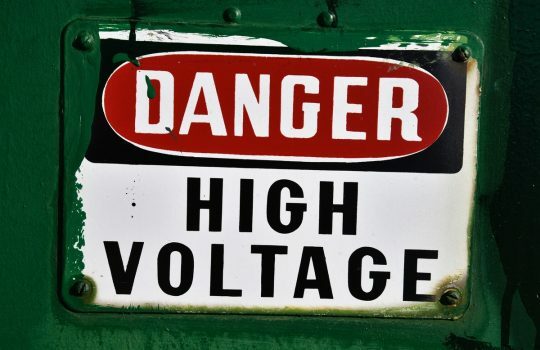 Now it is safe to activate the plugin in your WordPress. npm run dev Build files without minification. npm run watch Build files and watch for changes. npm run build Build files and minify JS and CSS. npm run lint-php Run PHP_CodeSniffer on PHP files to detect errors. npm run lint-php:fix Run phpcbf to try to fix PHP errors. npm run lint-css Run stylelint on SCSS files to detect errors. npm run lint-css:fix Try to fix errors on SCSS files. npm run lint-js Run eslint on JS files to detect errors. npm run lint-js:fix Try to fix errors on JS files. npm run lint Run linting process on PHP, SCSS, and JS files. npm run update:packages Update package dependencies in Node.js. Usually you’ll be running npm run watch while you are developing code so that changes are compiled and bundled in real time. To generate a final, stable version, though, run npm run build. .editorconfig. EditorConfig file that helps maintain consistent coding styles for multiple developers working on the same project across various editors and IDEs. .eslintignore. Used to exclude certain files from ESLint linting process. .gitattributes. Text file that gives attributes to path names in Git. composer.json. Describes the PHP dependencies of the project and may contain other metadata as well. composer.lock. Used to lock multiple developers working on the same project to the same versions of PHP dependencies. index.php. To hide the inner file structure in the server, whatever that be. LICENSE.txt. Copy of the GNU GPL v2 license. package-lock.json. Used to lock multiple developers working on the same project to the same versions of NPM dependencies. 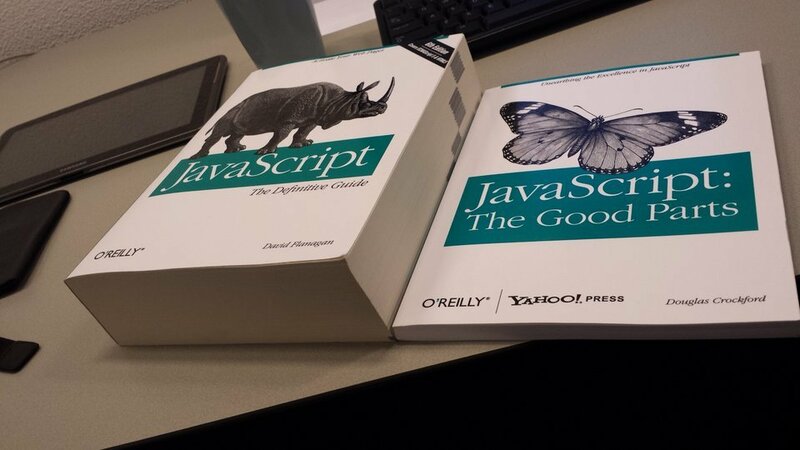 package.json. Manifest file for the project. Central repository of configuration where you will find the names of the packages required and the CLI commands you can use to manage the project. readme.txt. The template for the WordPress plugin readme file. webpack.config.js. Config file for webpack. wp-beb.php. 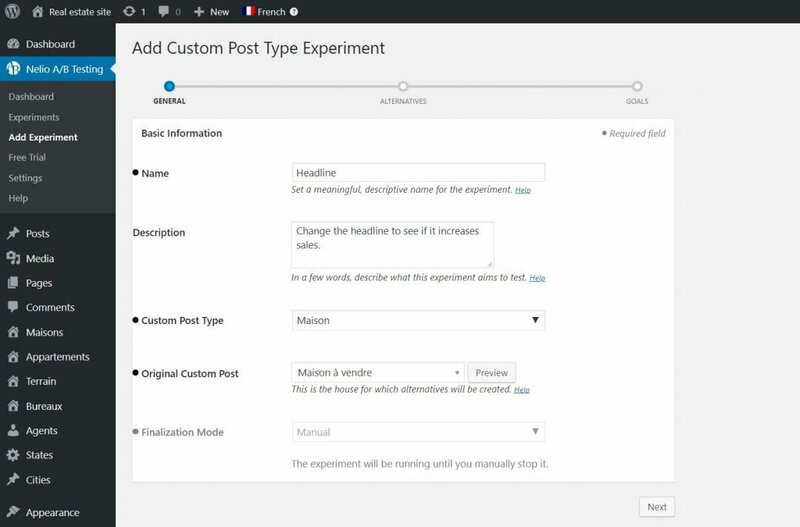 Main file of the WordPress plugin. An assets directory that contains CSS, JS, and image resources. 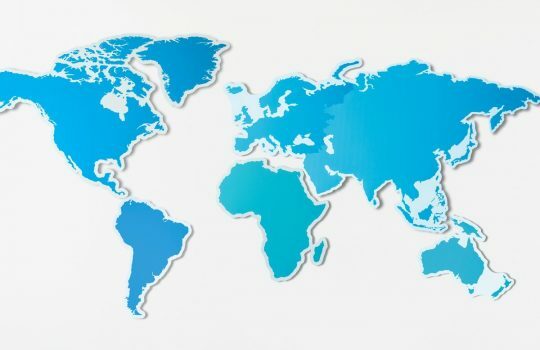 A languages directory that contains the translation files for i18n. 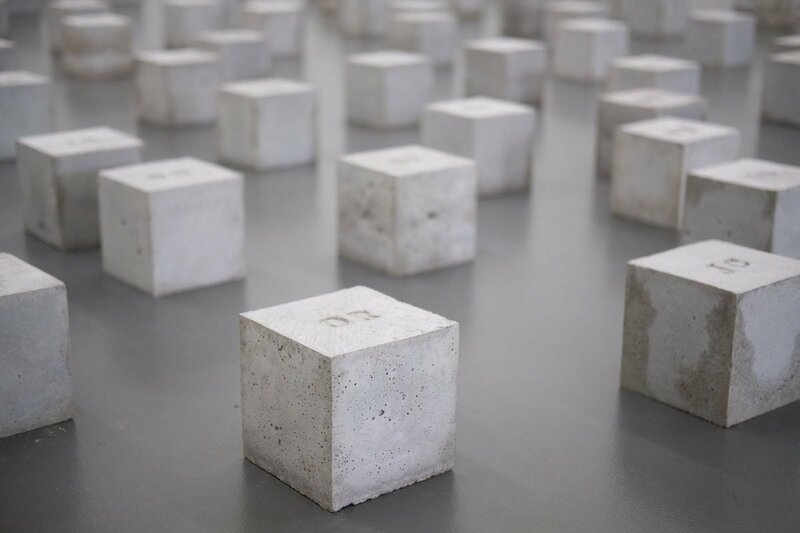 A packages directory that contains block definitions to extend the WordPress block editor. The interesting thing about this WordPress Block Editor Boilerplate is its default state. Once you have downloaded and compiled the plugin activate it and you’ll discover that it’s a fully functional plugin that adds a new block in your editor. The Demo block added by our boilerplate is just a simple text block preceded by a heart dashicon, as you can see in the previous screenshot. The block also defines two additional styles, which modify the colors of the text inside the block. 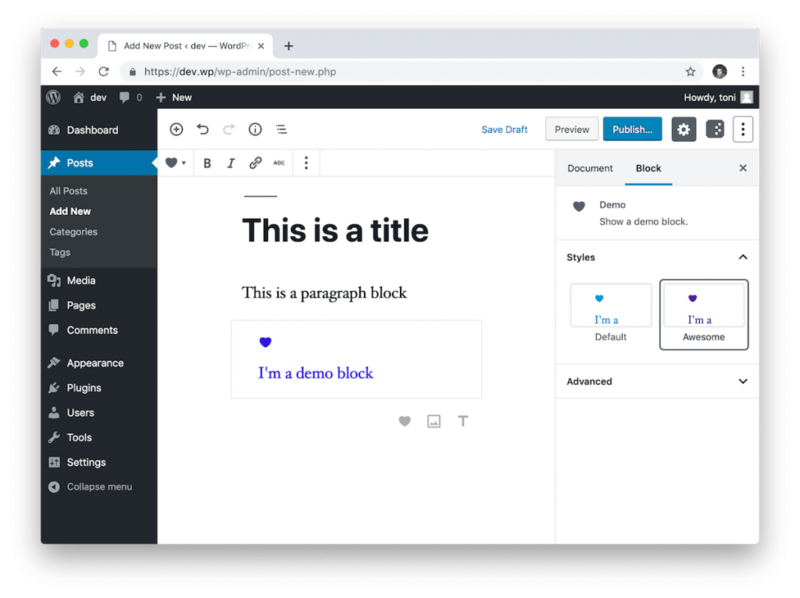 These should help you understand how to create blocks and styles in Gutenberg. In addition, the code for the demo block is split into different files, each of these including a different portion of the arguments used by registerBlockType. In addition to the demo block that I mentioned before, our boilerplate for the block editor includes the definition of a Gutenberg plugin. Keep in mind that this “plugin” is not a regular WordPress plugin, but something that extends the block editor itself. “A plugin inside the WordPress plugin”, if you will. Plugin for the block editor that we add by default. You can see the plugin in the screenshot above, located on the right side. This plugin is activated by clicking on the icon on the top right, next to the publish button. The plugin includes a color picker (so you can see how you can easily reuse the React components that Gutenberg includes) and a button to insert a demo block to the editor programmatically (another interesting scenario). You have the plugin code in assets/src/js/admin (you can see it here). Specifically, the file plugin.js includes the call registerPlugin and the file plugin-component.js defines the component that is responsible for rendering the color picker and the button that I mentioned before. We hope that our WordPress Block Editor Boilerplate will help you to get rid of your JS fear and to start programming extensions for the WordPress block editor in a simple way. Try it and tell us about your experience. We will be happy to read your comments! Featured image by Icons8 team on Unsplash. Today I bring you good news: last week we published a new plugin on WordPress.org! 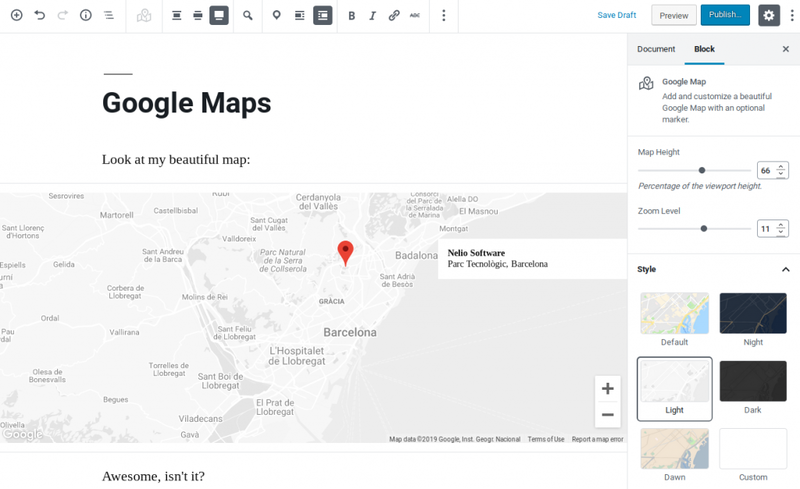 Nelio Maps allows you to add a Google map as a block in the WordPress editor. It’s the first plugin we’ve specifically designed and implemented for Gutenberg, and we hope users will fall in love with its simplicity and efficiency. 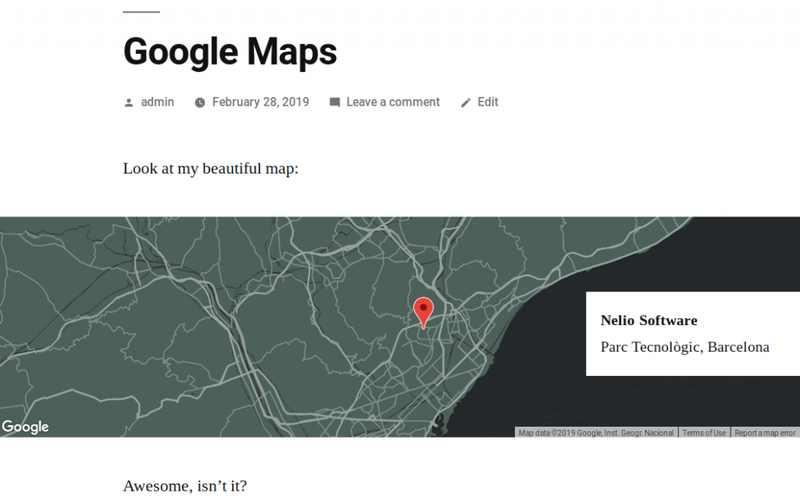 In this post I’ll showcase you the plugin and teach you how to use Nelio Maps to insert totally customized Google maps on your website. And if you are a developer, get ready, because in a couple of weeks I will share in detail how we’ve implemented this plugin in Nelio. 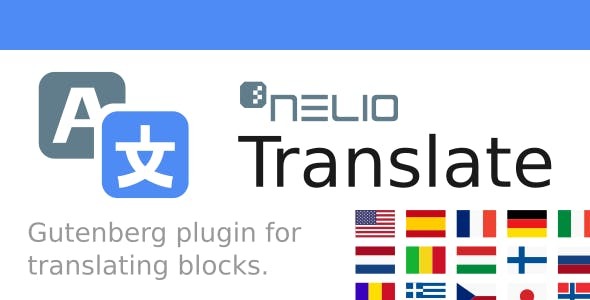 The installation of Nelio Maps follows the same procedure as that of any other plugin. 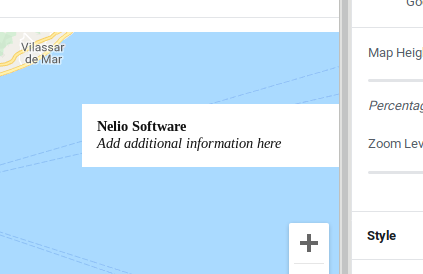 After installing and activating Nelio Maps, a new type of block appears in your WordPress editor. Warning message letting you know that a Google Maps API Key is required. Google Maps requires an API key to work so… let’s get one right away. 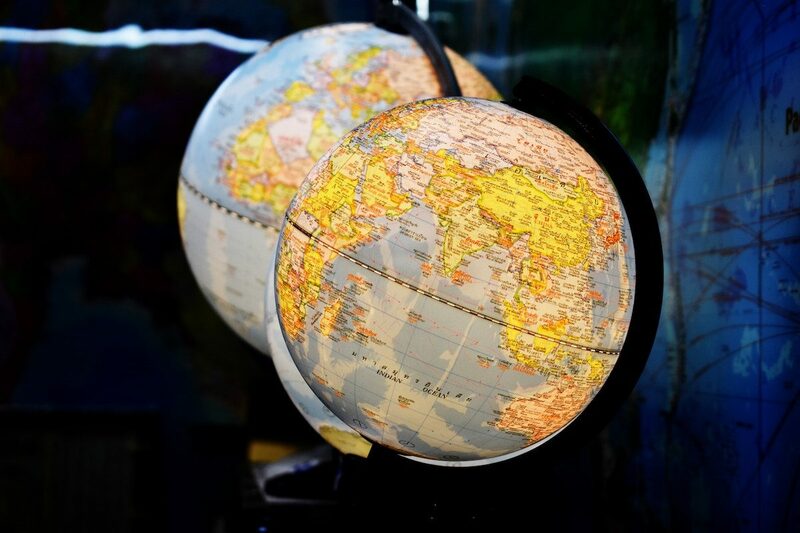 With Nelio Maps, you are able to customize several aspects of the Google Map that you just added. To help you get familiar with the plugin, let me briefly explain all the settings it includes. 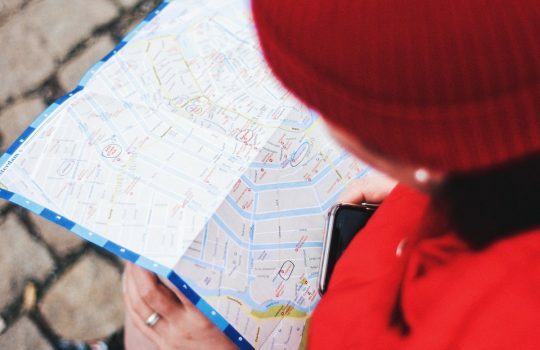 With the integrated location search, you can search for any business or address without leaving the block editor and center the map at the specific point you want. Nelio Maps allows you to use different alignments for your map, so the size it occupies on the screen can be adapted to your needs. Finally, Nelio Maps also allows you to change the default zoom level used in your map. 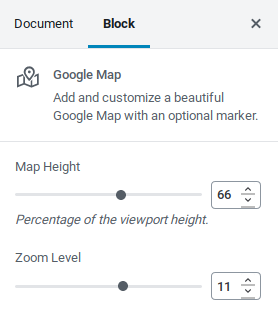 As you should have guessed from the previous screenshots, there are two ways to do it: either use the Zoom Level control in the sidebar or use the buttons on the map itself. Make the map draggable (to drag the map around). Default view of the map in the front-end, without any additional controls on it. 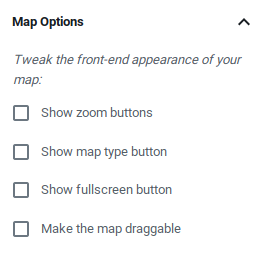 If you enable the different checkboxes, the user can interact with the map. 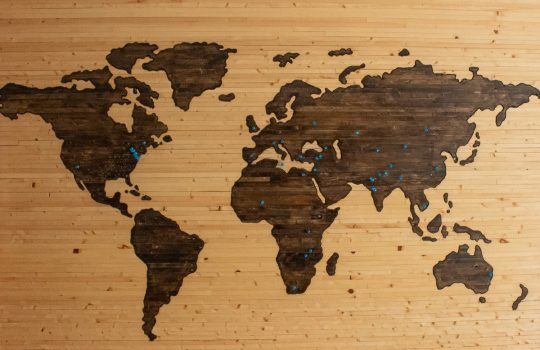 Add a marker to the map easily with Nelio Maps. 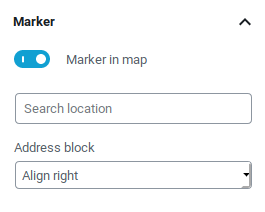 Once you have added the marker on the map, you can change its location using the search box that appears in the previous capture. When you activate the marker, you have the possibility to write additional information about it in the overlapping text box. You can easily change the alignment of the marker text box. or get rid of it completely, if you don’t want to use it. Screenshot of the map block of Nelio Maps, applying the Light style. So, tell me, what do you think of the plugin? Do you like it? Do you have any suggestions? Whether you think it’s the best plugin in the world or if you think it can and should be improved, we’d love to hear. 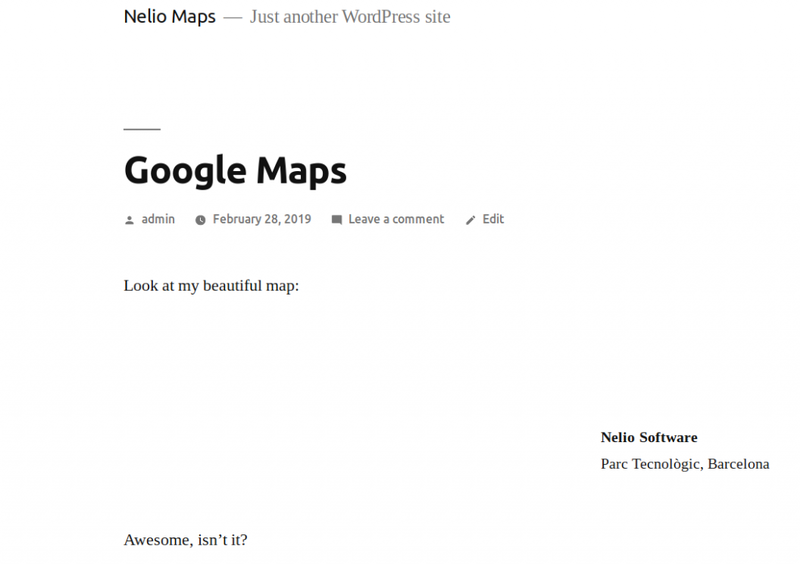 So please leave a comment down below and we’ll see how we can make Nelio Maps the best and simplest maps plugin for Gutenberg! Featured image of Anna Pascale in Unsplash. When you learn a new programming language, the first thing you need to know is to understand its syntax. Only in this way can you start programming with it. Once you do this, you have everything ready to start creating. JSBooks: if you are one of those who prefer to learn with books, here you have a lot of them for free. This is what everyone will tell you, but the truth is that it is not like that. You can develop for Gutenberg without having any idea of React or Redux. Of course, if you know how they work and what they are used for, then that would be better. What you can not avoid is to know how the JSX syntax works to create elements within React, which we will use to define the interface of our components (whether they are Gutenberg blocks or views within the editor). Using JSX simplifies writing and reusing components, since the code is much simpler and easier to read. As you can see, in the previous example we are creating React components without having any idea of React, by only knowing how to handle JSX and using it as if it were HTML with superpowers. In addition, you can also use existing components in Gutenberg. You can see them in this viewer that is also linked to the official documentation. There is only one problem. You will need to transpile the code with Babel so that the JSX notation ends up transforming into regular code that any browser can interpret. However, this is not a drama since you can do it automatically by using WebPack. If you had the need to create your own data store, you would not do it with Redux, but you would use the @wordpress/data package included in Gutenberg. This package uses Redux internally, but that doesn’t matter. 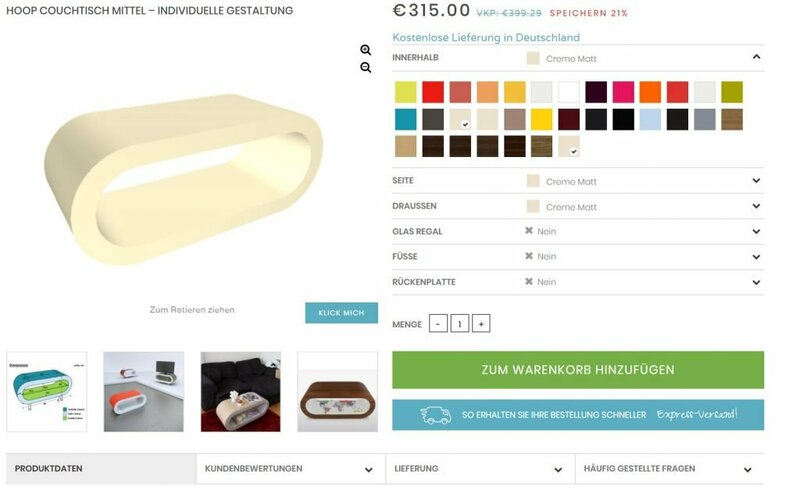 Also, we’re talking about a complex use case that you probably don’t need, at least in an initial stage. So for now forget about it. PostCSS: the same as Babel, but for your CSS stylesheets. I already talked about most of these technologies here. However, I am going to write down another article soon, where I will explain how to integrate them into a WordPress development project so that you can use them in a real case. Now, let’s go for the most important part: what we need to start creating new blocks for the WordPress editor. The first thing you need to start creating your own blocks is to master the function wp.blocks.registerBlockType() . You will find the most complete documentation on this function in the official Gutenberg guide. The arguments for this function are a string with the name of the block, which must be unique, and an object with the configuration of the block, where the most important parts are the save and the edit functions of the block. I already briefly explained this to you in this article. There are many other things you can do with Gutenberg, in addition to creating new blocks. For example, you can create a plugin within Gutenberg to add a panel of options in the right side of the editor with everything you want. The best thing about this is that the official WordPress documentation includes this complete tutorial with concrete examples of what you can do there. 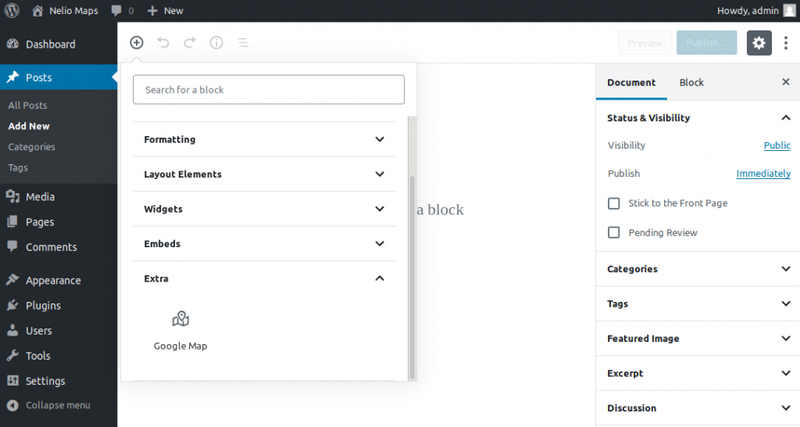 In addition to this, you can extend the WordPress editor by adding new styles to existing blocks, add more custom settings to the blocks, remove blocks or hide them, or filter the categories of blocks that you can have in the editor. I recommend you take a look at the official documentation that you have in the Gutenberg handbook for developers and designers that you will find here. Take it easy because there is a lot of information and this is one of the best resources you have available. Featured image by Christian Fregnan in Unsplash .